Kelly Bryant’s football career had a normal start. He began playing football at the age of nine. He always wanted to play football and be active, and he would run around the house pretending to be on the gridiron until finally being allowed to play at the age of nine. His journey, however, has been unique. Bryant was a highly-rated recruit at nearby Wren High School. But his path to success was rocky, as he battled Crohn’s disease, which can cause intestinal swelling, leading to blockage. 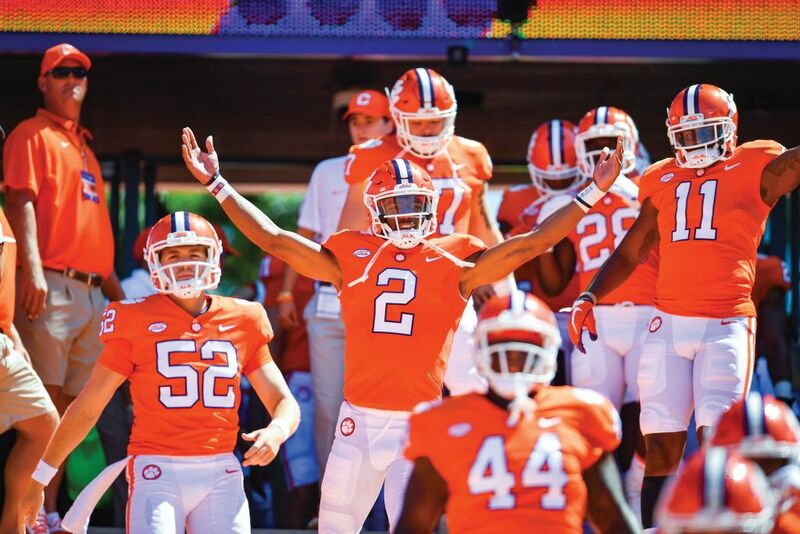 Bryant’s future was in doubt due to his health problems, but Clemson kept its commitment, which meant a lot to him. “With some schools, it was questionable because I wasn’t allowed to participate in camps. They remained solid on me, on my commitment…they honored it. It made it that much more special to play for the coaches here. Bryant overcame his health issues to join the Tiger football team. He was a backup on the 2016 national championship squad, an experience that was surreal for Bryant. Bryant learned much from his time as a backup, including professionalism, communication and leadership. He finally got to apply his skills and newfound knowledge when he was named the starting quarterback for the 2017 season. Starting his first game was a “blessing” for Bryant. The transition from backing up to starting was fast, but it also fueled him. Bryant found success quickly in 2017. He had 2,802 passing yards and 13 touchdowns. He also set a school record for wins as a first-year starting quarterback (12), leading the team to an ACC championship and a College Football Playoff appearance. He was also one of 11 finalists for the Manning Award and one of 16 semifinalists for the Davey O’Brien Award. It was a special season for Bryant, as he believed many didn’t pick the team to have the success it had even though Bryant and the Tigers knew what they could accomplish. Bryant and the team are hungry and looking to take advantage of opportunities entering the 2018 season after a disappointing loss to Alabama in the Sugar Bowl in January. It is clear that Bryant is ready for the 2018 season, and he is ready to build off the successes from last year. After everything Bryant has overcome, few should doubt his determination as a senior leader in 2018.